In this chapter, you will learn that the value of self changes whenever Ruby encounters the class, module or def keyword. Open your code editor and print the value of self. Define a class and print the value of self. Define a module and print the value of self. Define a method inside the class A and print the value of self. This prints nothing. Until now Ruby executed code as it read the code. In this case, it does not execute the method as it reads it. It makes the method available for instances of class A to call it. Let&apos;s create an instance of A to call the method m(). 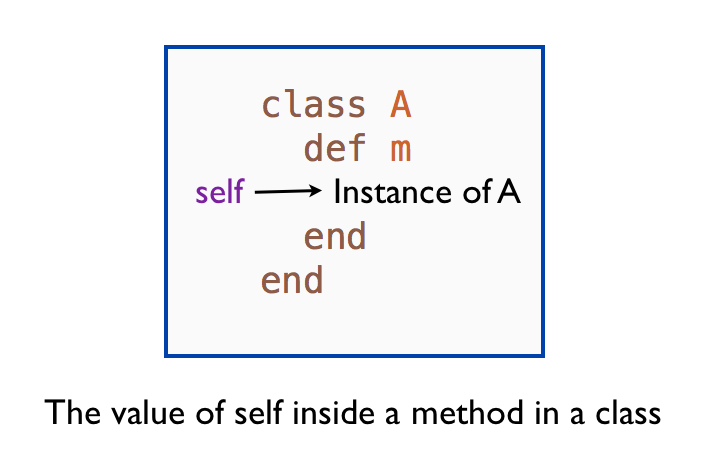 Define a method in module B and print the value of self inside the method. This prints nothing. We can mixin the module B in a class. Create an instance of that class and call the method mw(). 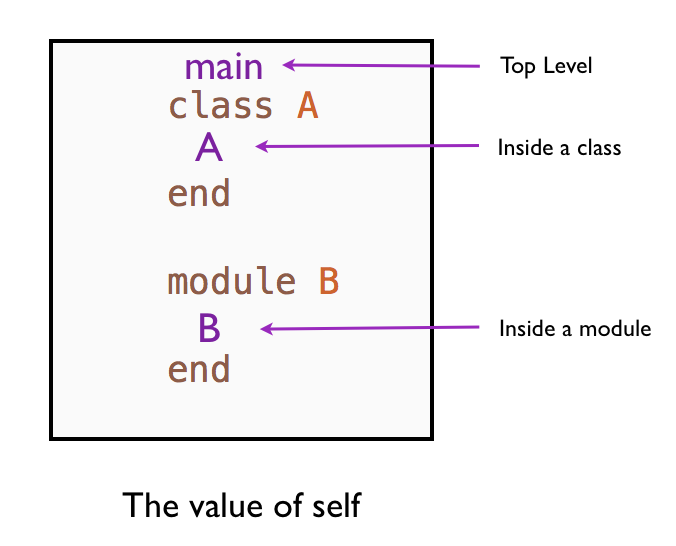 The value of self inside the method defined in a module is the instance of Tester class. 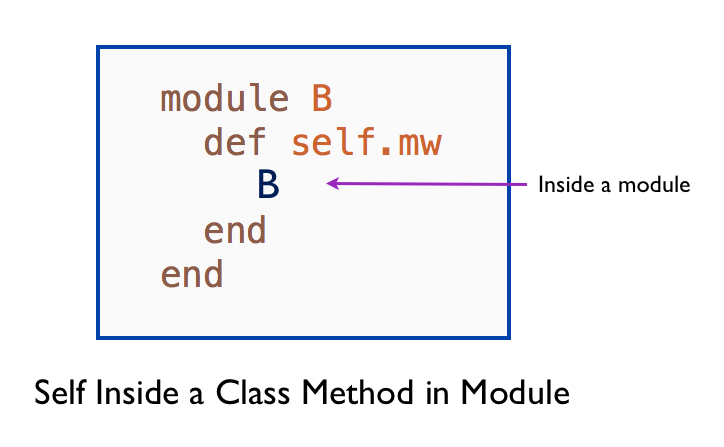 We can extend the module and call the class method mw(). 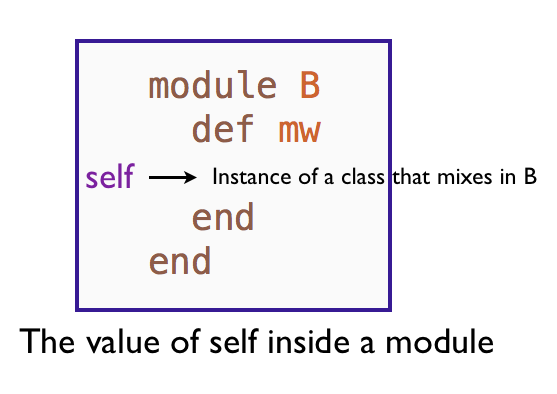 Define a class method in a module to print the value of self. 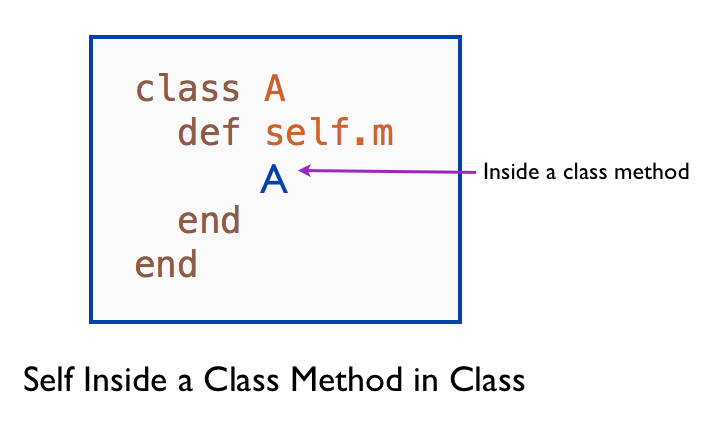 Define a class method in a class to print the value of self. The following list summarizes what you learned in this chapter.